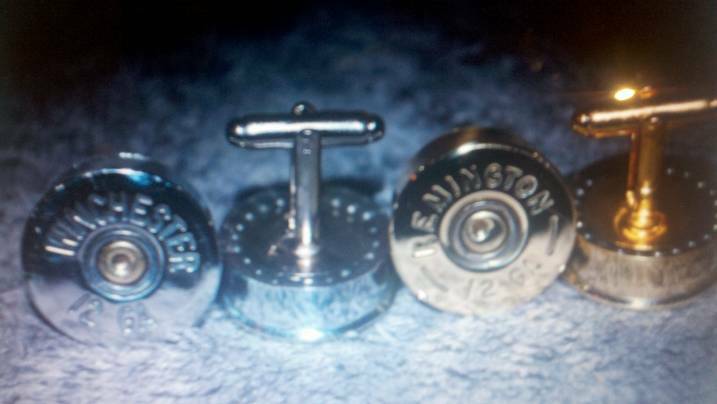 12 gauge cuff links made with fired shotgun brass $25 shipped. I put a row of bbs on back side as my personal touch. 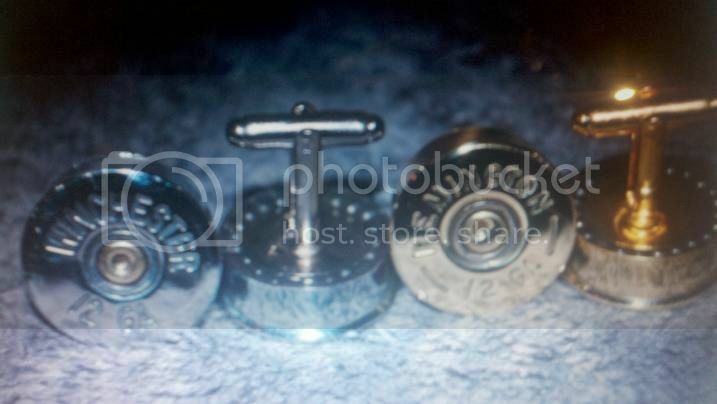 I have a few sets of brass ready to go and will have more silver brass in a week or so.